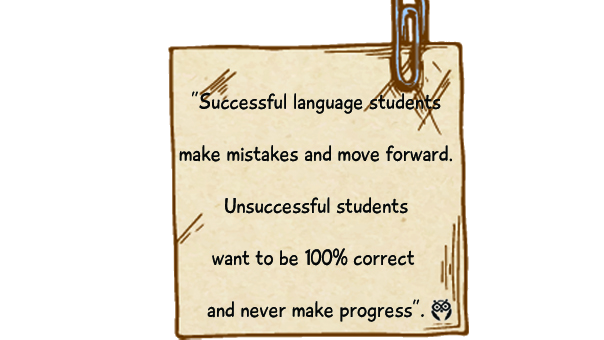 If you look at the way unsuccessful students study languages, you’ll notice they make the same mistakes. You too might have been struggling and making some classic mistakes. How do I know this? I’m the master of making mistakes! So yes, my results weren’t exactly impressive, but I did eventually achieve success. Unlike the other 99% of Russian language learners, we’re going to uncover the most common misbeliefs right now – and fix them. 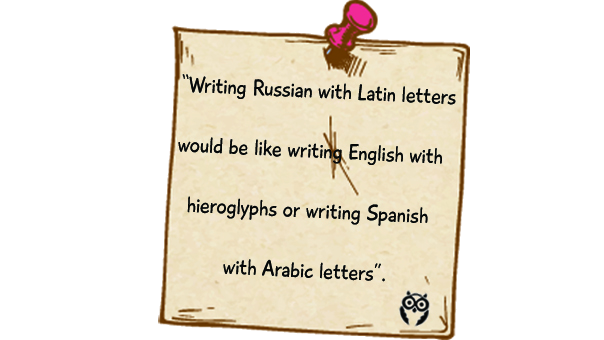 This article doesn’t contain universal solutions to every problem Russian learners face. 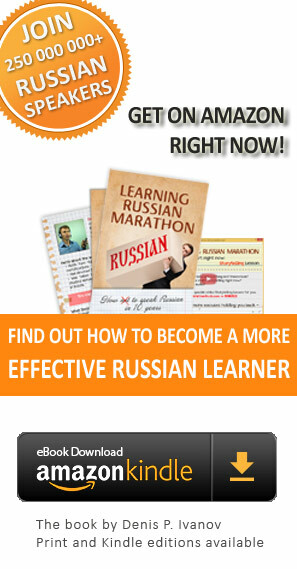 You can find the answers in my book Learning Russian Marathon: How To Speak Russian in 10 Years. 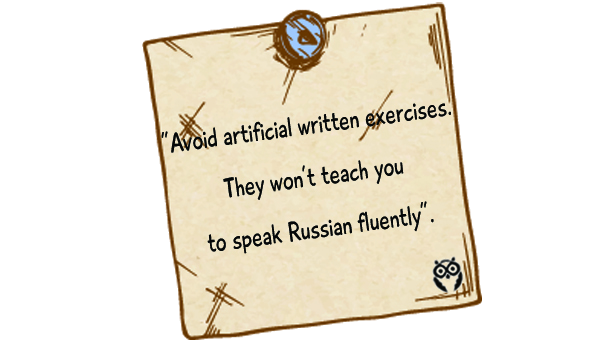 But in this article, we’re just going to look at some of the incorrect approaches to learning Russian. I like to compare the average, frustrated Russian learner with a marathon runner – he’s doing something difficult, it takes a long time, requires a lot of patience and the finish line is nowhere in sight. This is why I call it a ‘Learning Russian marathon’. This is the first common belief to unsuccessful students. They’re interested in the hard, academic phrases from day one. But then they speak ve-e-ery slowly and think that fluency will happen on its own at some later point. In reality, it’s better to first speak simple phrases fluently, at a natural speed. One word answers should be quick and automatic. From that point, you can move to harder structures. 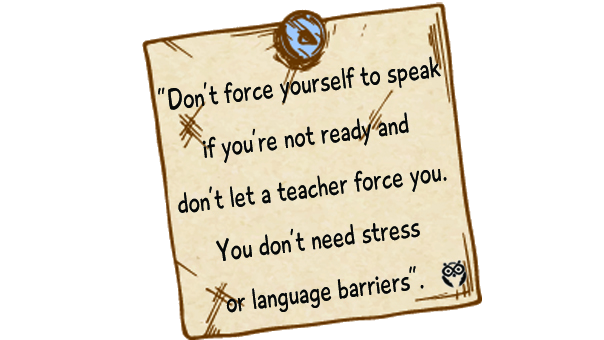 Start with fluency and then move to the complex, academic language later. Want to get more tips on becoming a fluent Russian speaker? Jour our community today and we’ll send you over a lot more useful materials! Unsuccessful students believe that Cyrillic is really difficult. Study guides and teachers ‘help’ these students by writing words in Latin letters. It’s only ok to use transliteration if you’ve been learning Russian for less than 5 hours (which is about how long it takes to learn the alphabet). 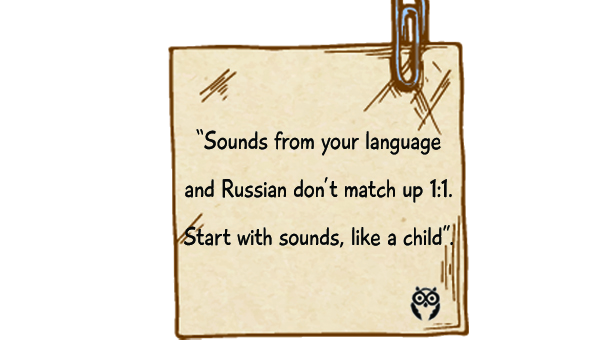 After that, you start creating extra problems for yourself and some very funny pronunciation problems. Unsuccessful students start learning a language with books. They read and see Russian first and then start to listen. Listening is considered some kind of extra, secondary activity. Listening and speaking are closely linked skills and in practise, a ‘reverse’ approach is much more effective, i.e. you listen and speak and written language comes as an additional skill. Unsuccessful students start to learn words, listen and even speak without even understanding which sounds are tough for them. They try to put together sounds and words by using sounds from their own native languages. 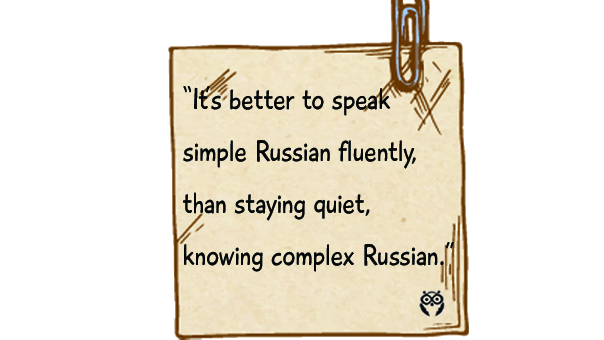 Without knowing Russian sounds and speaking position, you’ll not only have trouble speaking, but you’ll find it hard to understand Russian too. And here’s another extreme – spending too much time on perfect pronunciation. 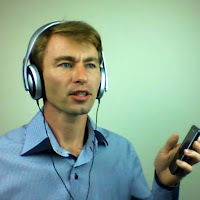 Practice Russian pronunciation, but forget about it when you are speaking. 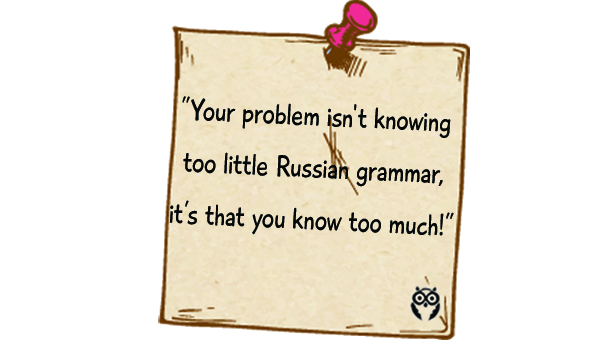 Unsuccessful students are sure that, if they make mistakes and speak slowly in Russian, then they need more grammar – more rules, conjugations and exceptions. 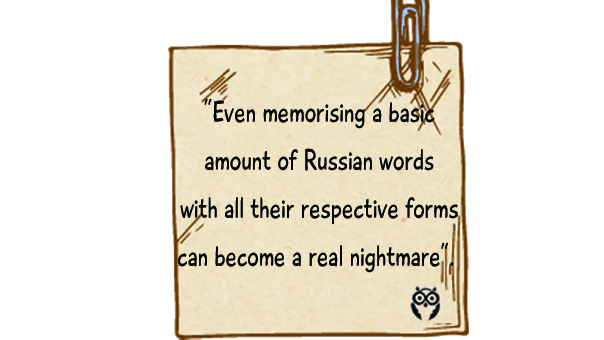 Unsuccessful students are sure that learning lots of words is the fastest way to master Russian. They learn words without context, from translations, and rarely understand the true meaning of the words. What usually happens with memorising lots of words is that the student has a head full of words that he/she can’t use in practise. Don’t even think of learning words from a list. Context will tell you what form a word should take. Unsuccessful students think that, to learn a language, you need to go through tons of bland exercises. This is especially true of written exercises: “fill in the missing word” or “write 200-word essays”. They think they need to do this because the teacher says so. Your learning activities shouldn’t ever be boring. Written exercises can be really effective, but only when used properly. Speaking in a foreign language is always stressful to begin with. But unsuccessful students manage (either on their own or with ‘help’ of a teacher) to turn this stress into real hell. There is always a path of least resistance when learning to speak. First you become confident, develop positive associations, and then you start to converse on different topics. When you start speaking Russian you’ll need to be brave, but you sure don’t need to get depressed and lose your confidence. Unsuccessful Russian language students try hard to be correct. If you could take a look inside their head, you would see them constantly trying to choose the most correct structure and then worrying that that they said or wrote something incorrectly. Speaking Russian correctly every time is impossible (even for native speakers). But people will understand a less-than-perfect sentence. You need to forget about trying to be correct all the time. It is better to speak smoothly and be understood. I’m talking about misbeliefs and mistakes in the approach to learning Russian, not about solutions. But why? Firstly, to know WHAT is incorrect is quite useful. You can stop and think and possibly not make a mistake. Secondly, to explain how to learn a language effectively, I’d need a whole course! I created it specially for the kind of people that make the mistakes I talked about in this article (I made these mistakes too). How will you benefit from our program?